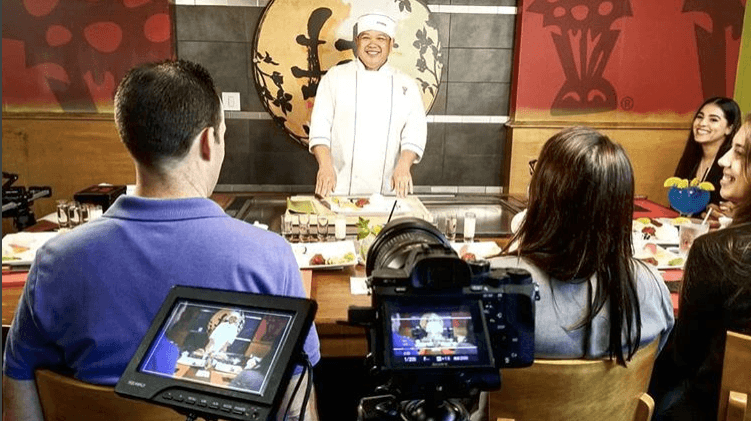 We created a few videos for Benihana Restaurants to showcase the fun entertainment and amazing food that eating at Benihana provides. Thoughts went into what we find memorable about our own experiences at Benihana. A common theme are the jokes the individual chefs tell while cooking. The 1st video was for a seasonal promotional sushi roll, The Wow Roll. The 2nd video is based on the chef joke, "How does an Egg Roll?" The final video is a classic display of the giant fried rice heart that each chef often creates at the table if someone is having an anniversary.